Linux provides a lot of tools for text related operations. wc is one of them. This tool is a little tool less than 10 options. In this tutorial we will look how to count bytes? How count words? How to count Lines? and How to use wc with other Linux commands like find and grep? Syntax of wc is like below. Fast help about the wc can be get with the following command. If we only want to get number of chars we can use m options like below. If we only want to count words the -w option can be used. If we only want to count lines -l option can be used. wc is generally used with other tools or external input. External input is very useful feature of the wc. By using bash capabilities external text can be redirected to the wc as input like below. In this example we simply print file case_sensitive.c to the standard output and this standard output is redirected with pipe operator to the wc as standard input which is processes like a file by wc. Redirect is a simple mechanism. Redirecting multiple files are same as single file we just print files according to their names or extensions. In the example we will redirect all files with.c extension to the wc command. 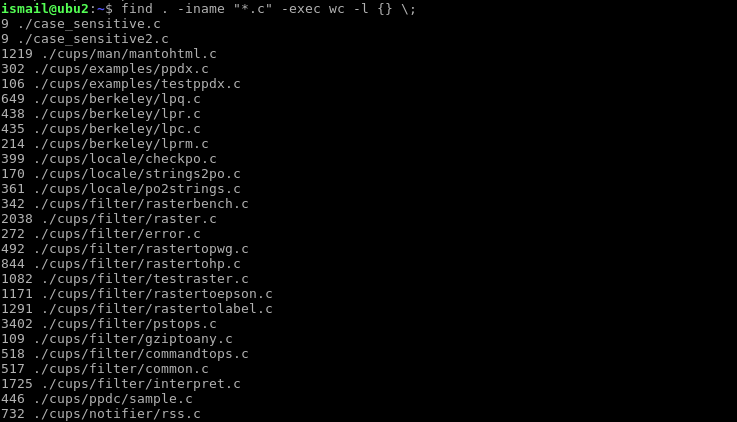 wc can be used to count files and directories by using ls command output. In the example we use ls command to list all files and directories line by line and redirect to the wc. Another useful usage wc is using it with grep. By using grep the content of the resource files are filtered and than counted with wc. In this example we want to count the lines where those provides int string. We use regular expression to filter. We only provide .c extension files. Another useful usage is using with find command. find search according to specified parameters. wc can be used on the search results to count lines or others. 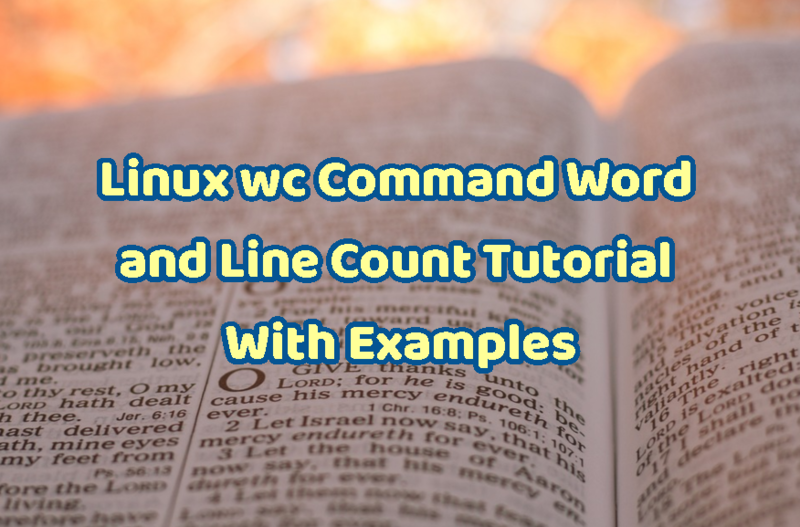 In the example we will search for files with .c extension and run wc command against them to find their line counts one by one. How To Install VirtualBox Into Linux?